Provide comfort for the family of William Stewart with a meaningful gesture of sympathy. William Kirk Stewart a resident of Cedar City Utah, passed away on January 26th 2019 at the age of 57, he was born in Las Vegas Nevada, November 10th 1961 he grew up in Las Vegas and attended El Dorado High School. He enjoyed camping with his dog Charlie and like to draw. 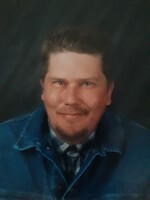 He was employed by the Public Works department of Clark County Nevada and eventually moved to Cedar City Utah where he resided for almost 30 yrs., he was a member of The Oasis House and was active in the Community and Volunteer programs. He is survived by his parents Robert and Ronatta Stewart, sister Becky brother Keith, niece Devon and nephews Jason, Zokie and Christian. He held a special place in his heart for his counselor and close friend Rosie Fletcher, Kirk will be sadly missed by his friends family and loved ones. To send flowers in memory of William Kirk Stewart, please visit our Heartfelt Sympathies Store.